The USDA has published an early estimate of what they think this year's United States average corn yield will be - a much depressed 123.4 bushels/acre due to the current record-breaking heat and drought in the US. 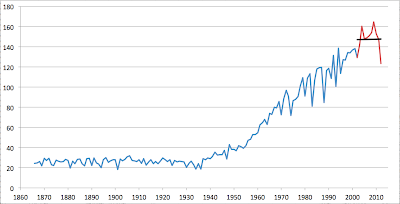 Since they also maintain statistics for average yields back to 1866 (!! 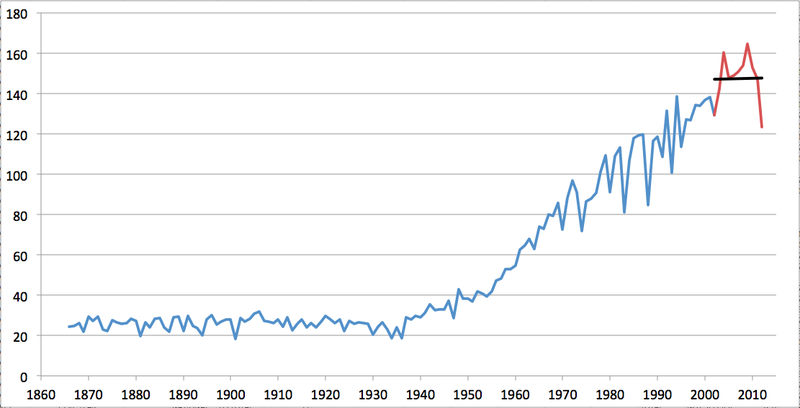 ), I made the graph above showing the context for this year's estimate (assuming it turns out to be reasonably accurate). 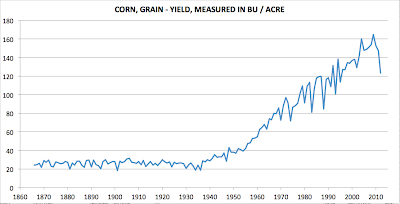 You can see that prior to the late 1930s, yields were pretty much flat with fluctuations year-to-year. 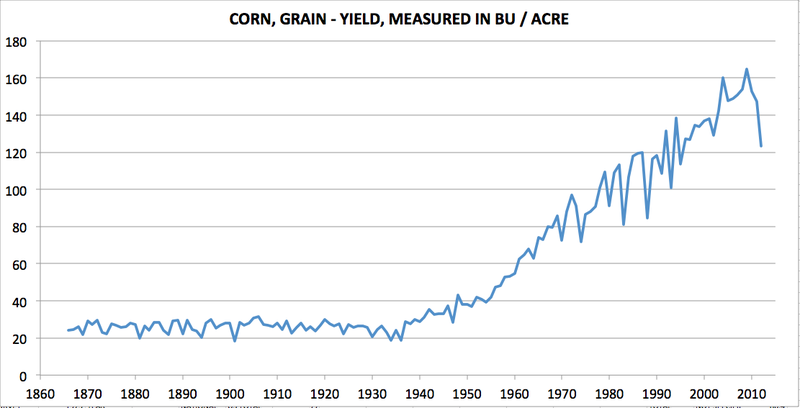 Then began a long and roughly linear rise in yields due to improving agricultural technology. 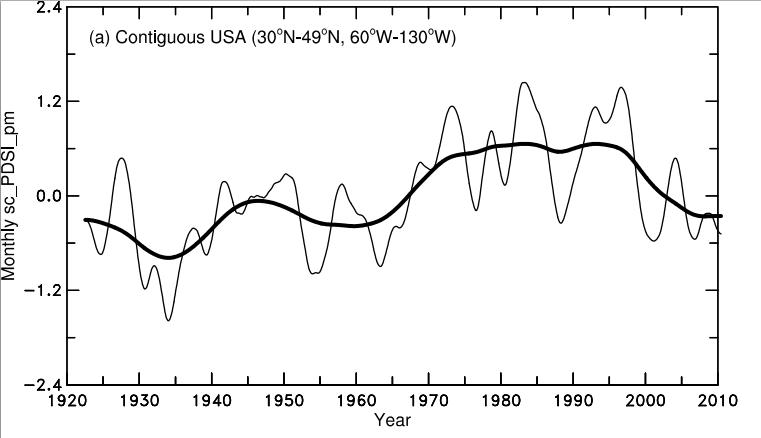 Year-to-year weather causes fluctuations around the trend, and the latest fluctuation is particularly large (though not off the scale of what has been seen before). Hitherto, I've been of the view that there was no climate change signal visible in these yields, but the latest data point is perhaps starting to raise a small question mark there. 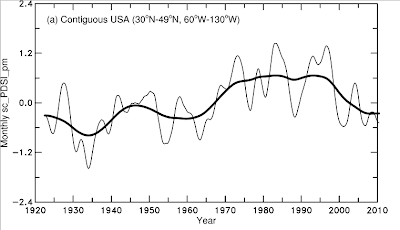 If you go back earlier, then there is still a positive upward trend. I doubt that this is a statistically significant trend change (I'd have to work harder than I have time for right now to tell for sure). But it's definitely something to watch. Let's put it at a 50% rise. Quote: "The second reason is the worrying rise of cereal harvest volatility in North America."